Prime Minister Justin Trudeau makes a formal apology in the House of Commons for the Komagata Maru incident that occurred in 1914. 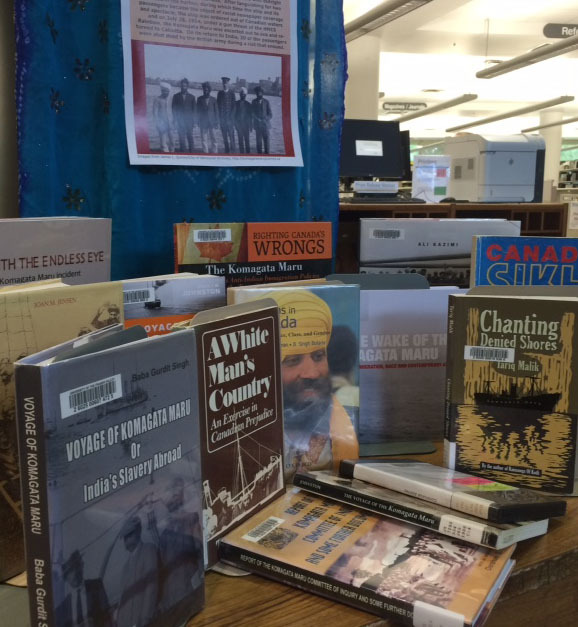 To mark this historic event, the UFV Library is displaying books on the topic of the Komagata Maru, the Sikhs in Canada as well as the history of discrimination in Canada. 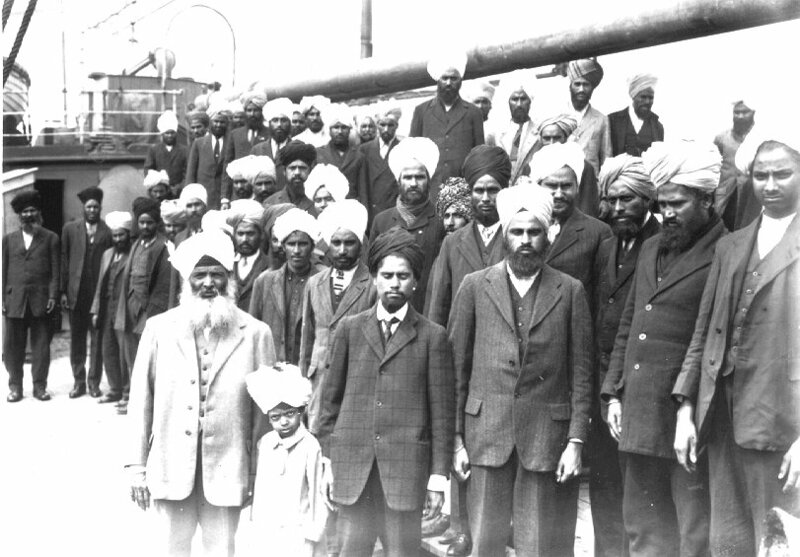 Challenging the discriminatory immigration rules of the time, the passengers of the Komagata Maru, themselves British subjects, departed Hong Kong on April 4, 1914, made stops in Shanghai and Japan, and then sailed towards Vancouver. The passengers were met by immigration officers who outright refused them entry into Canada. 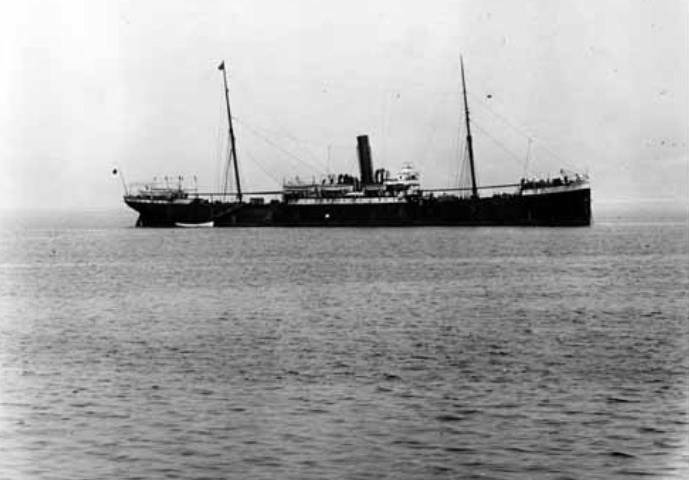 After languishing for two months in the harbor, during which time the ship and its passengers became the object of racist newspaper coverage and spectacle, the ship was ordered out of Canadian waters and on July 28, 1914, under a gun threat of the HMCS Rainbow, the Komagata Maru was escorted out to sea and returned to Calcutta. On its return to India, 20 of the passengers were shot dead by the British army during a riot that ensued. For more information about the Komagata Maru and its significance, please ckick here to access the Komagata Maru, Continuing the Journey online exhibit at SFU. Click here to see Dr. Renisa Mawani, Associate Professor of Sociology at UBC, analysis of the formal apology by Prime Minister Trudeau. EBSCO has recently released a list of the browsers and versions that they will be supporting. The information below is from their website. EBSCO is committed to providing our customers with the best products and services, utilizing the latest available technologies. For this reason, we are implementing a revised browser support policy to ensure that our services are provided in a secure environment. Effective July 1, 2017, EBSCO will stop supporting Internet Explorer 8.0 and 9.0, due to security risks. * Note: Until 2017 all currently existing functionality, as of May 2016, that is supported in IE 8.0 and 9.0 will continue to be supported, however all newly released services and features will only be supported in IE 10.0 or higher. Just another reminder that both UFV libraries will be closed on Wednesday, May 4 to enable all library employees to attend the campus-wide professional development day. The rest of this week we have special intersession hours: 8:30-4:30 (M, T, Th, F) and closed on the weekend.